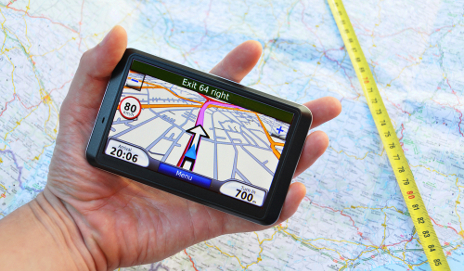 Do you really need to update your sat nav map as regularly as manufacturers would like you to? They often come with a hefty price tag, but do Britain’s roads change enough to make the spend worthwhile? TomTom charges £19.80 for a year’s worth of map updates, and Garmin charges £50 for a one-off update or £75 for lifetime European map updates. So it’s definitely worth asking whether these sat nav updates are actually worth the cost. How often did you replace your paper atlas? Think about your old paper atlas. I used to keep mine in the car, and only replaced it when it became tatty and pages began to fall out. I never really worried about small changes to the road network. If I came across an unexpected mini-roundabout or toll road, I figured out a way to get to my destination. In any case, this was a very rare event. On the other hand, TomTom claims ‘on average 15% of roads change every year.’ This sounded like a lot, so we asked TomTom to explain the figure. They told us that the 15% covers the addition of new roads and, interestingly, changes to existing roads, such as new street signage or points of interest (like a new cinema or petrol station). Do you notice changes to the roads you drive on? Do you think your sat nav is ‘out of date’? Maybe you live in a modern housing development where new roads and roundabouts have been recently added. If not, I wouldn’t bother paying for a map update. Especially at the prices manufacturers ask for. And don’t forget the time they take to download and install – it’s probably longer than the time you’ll take figuring out the correct route! However, it is worth taking advantage of your sat nav’s ‘latest map guarantee’. Most manufacturers will give you the chance to download the latest map free of charge within a few weeks of turning on your sat nav for the first time. Since most sat navs will be on sale months after they come out of the factory, it’s worth checking if you have the latest map and downloading if not. But in my view, paying for map updates every year is probably an unnecessary expense. Win the Which? homepage! If you want to win four Best Buy products as featured on the Which.co.uk homepage on 25 February, including a Garmin sat nav, visit our competition page. Will sat navs be replaced by mobile phones? I bought a ~£70 reconditioned 205Nuvi. The maps now out of date and the Sat Nav no longer sends me via motorways, no matter how I select the motorway option. Could this be a fault on the unit in which case I do not want to pay £50 for an update. Or is it a Garmin scam and forcing the purchase of a new map for the machine to work properly? I have had a tomtom one for a few years now and wanted to update but after reading the comments I will leave well alone and maybe buy a new satnav instead. Another possibility would be to carry on using the old one if it is working well. I bought a new TomTom when mine went missing and a friend forgot to say it had turned up in his car. I use both, keeping one on charge in the boot. The new TomTom is better but I have never got lost when using the old one. Many people are happily using built-in satnavs that are years old because the updating cost is ridiculous. On the other hand, new satnavs are more affordable than they used to be. I use my out of date Tomtom and revert to the up-to-date sat nav on my phone if any probs (doesn’t happen often). This avoids running my phone battery down and gets me most of the way to most places. Map updates are far too expensive. Sat Nav companies must be under pressure now. I have just paid £27.96 for a new map update . I bought a Garmin nuvi 66 (mid range) with Lifetime maps – it is ideal – and seems to update maps quite often. No problems yet. I’m very happy with it and it is shared by the family. Note: Garmin and many European car satnavs use the SAME maps from “HERE”, they confirmed to me that my car and Garmin are getting the same maps – one free and one at a high price. It is worrying to note that HERE is NOW owned by a consortium of German car manufacturers (see wiki for history) and I wonder how much the next update will cost ? I will certainly only update it every few years. I’m thinking whether or not to upgrade my sat nav for a trip to mainland europe. I got it in 2010 and never updated it and its worked fine in the UK. 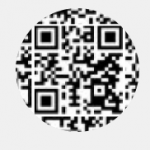 I’ve tested it on random addresses in europe and seems to be finding them. I have been very happy with TomTom sat navs for years but bought a Garmin after Christmas, having read recommendations by Which? and positive comments from friends. For a time I missed Jane TomTom (default voice) telling me where to go, but I am very pleased with my Garmin. I am aware that I’m comparing it with a TomTom that is about three years old rather than a current model. One feature that lets it down is the pronunciation of street names, some of which are quite entertaining. I see that many TomTom and Garmin sat navs come with lifetime maps these days. Hopefully car manufacturers will do the same and stop exploiting their customers. Using an Android Smartphone or tablet with even a free Navigation app would be a solution, if that App uses Openstreetmap maps. Openstreetmaps are free and kept up to date by millions of online contributors. It’s easy for every-one to contribute. I bought my new car without a costly fixed navigation system. Instead I am using a nice tablet with an easy vent holder. Now I got the freedom of choosing my navigation apps and maps. All is fine. Can’t really comment at the moment have only just found the page and do not know the jist of the subjects. (Edited by moderators: We have edited your comment as it was all written in capital letters. Please read our commenting guidelines for more information). With Garmins £75 for lifetime map updates. Why would you pay this when one can buy a new one WITH lifetime updates for only a little more. That’s what I did. Garmin should think again and reduce their prices for updates drastically and match Tom-Tom. Its a digital download! Can justify the price especially since it is sold on mass. Ford want £200 to update the maps on my built in Sync2 system. It works quite well but traffic avoidance uses TMC on an FM radio channel which is limited in coverage & not updated quickly. I can get a Garmin or TomTom for under £150 with lifetime map updates & digital traffic on DAB radio channel which updates quickly & better coverage than TMC. They also have extras like lane guidance. VW group offer 2 years of quarterly map updates for under £20 on new cars. Ford & VW use Here maps who are owned by BMW , Mercedes & VW so data cost for these companies is zero. Ford comes on a SD card & VW is a download. With Ford how would you know how old the maps are you are buying? There is a tiny cost for the SD card but how can Ford justify the charge? Hi I bought a truckers Sat-Nav 7″ Pro Drive, with life time updates guaranteed, now a few years down the line ; I feel the need to update the map, as I’m having problems with it now. When I contacted the company I’ve been informed that I have to pay a fee. I feel this is totally out of order. I bought a second hand Suzuki Vitara registered on December 8th 2016 which could have been sitting on the dealer’s forecourt for a few weeks before it was sold, Thus I reckon the SatNav maps are nearly a year old. So, I asked Suzuki Customer Services for the cost of an SD card which holds the SatNav maps: they quoted me £271.98! I understand this part is sourced from Bosch, and called Bosch for their price: they told me they do not supply their SD cards to end users. Now for very nearly £272, I can buy a TomTom, AND a Garmin, both SatNavs coming with lifetime map updates! I used to work in Parts & Accessories in the motor industry and understand that this a “captive” part but Suzuki (and Bosch) are shooting themselves in the foot by charging such ridiculously high prices for a replacement SD card: both will lose profit since I will simply download map software onto my mobile phone or maybe buy a TomTom or Garmin.